There are several things I love about this time of year and one of my favorites is red birds in the snow. I have always thought of snow as something magical. When I see that gorgeous red bird with all the white snow surrounding it I feel like I have been given a gift. 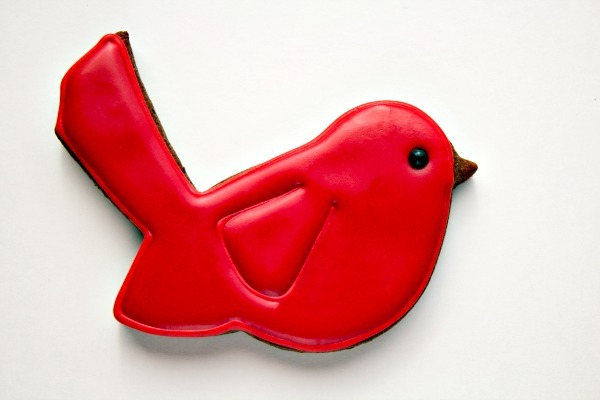 So being a cookie person, the only logical thing to do is make red bird cookies. 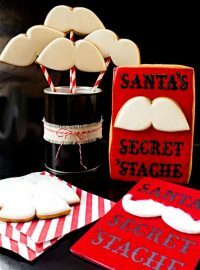 I like giving cookies gifts and I have decided to add these to my list of holiday cookies. I really like how simple they are and when packed the right way, they will look like they are sitting in the snow waiting for whatever birds wait for. I hope my friends and family enjoy them as much as I do. Begin by outlining the bird and wing with the red icing and let it dry for a few minutes. 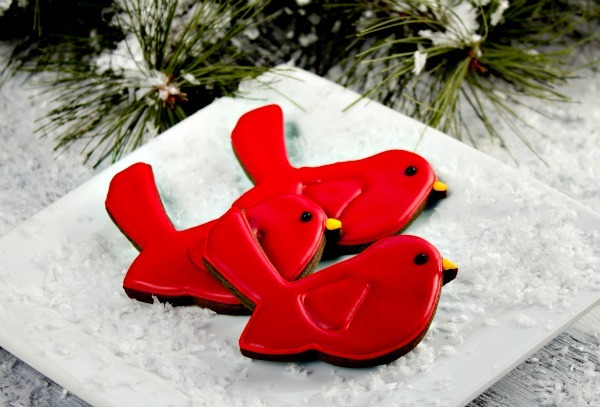 Then flood with the red icing but, be careful around the wing outline. While the red is wet, add the black sugar pearl eye. I really like to keep things simple around this time of year. 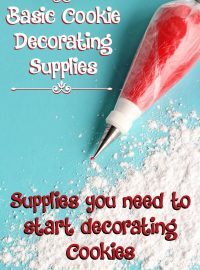 We are all so busy but, if we simplify the things we can then, it will make the holiday season that much more magical. 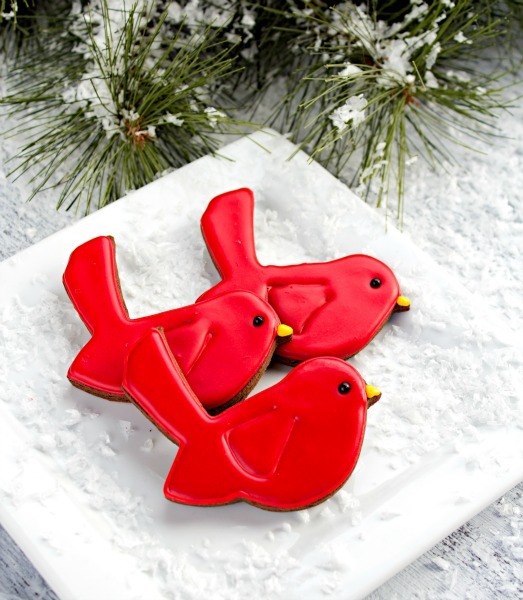 Kinda like these red bird cookies. Awe Jennifer! I love them year round but, something about them in the snow makes my heart skip a beat. Oh how I hope you get a good picture! We have blue jays here and they are beautiful also! All birds are beautiful! Lisa – these are so simply stunning! I was so excited when I saw these cuz I just got that cutter after cookiecon! 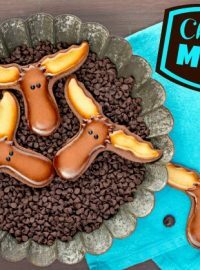 Now I can’t wait to make them!! Your photo is just beautiful !! 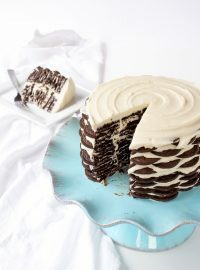 I am so glad you have the cutter Jennifer! I would love to see a picture when you make them! Lisa, They really are magical. I am so encouraged by their simplicity. You give us less gifted cookiers hope. Thank you. Beautiful cookies, Lisa!! There’s certain elegance found in how simple they are. I have yet to see a cardinal in real life, only on Christmas cards (and watching sporting events :-P). I guess they don’t nest in the Pacific Northwest. That’d be awesome! Thanks, Lisa. 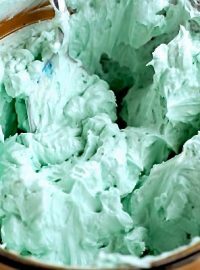 these are perfect for the winter season! so cute!! Thanks Carrie! I think you are cute!! 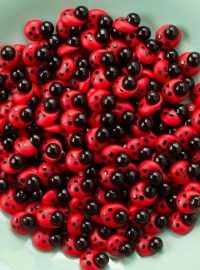 These are beautiful Lisa! I love the simplicity. Sometime keeping things simple make them really shine, just like here, you made them shine.